Simpson exterior wood doors set your home apart. Thousands of standard choices and the capability to create one-of-a-kind custom door solutions to satisfy your taste, and your budget. Handcrafted wood doors are available in many different wood choices and with numerous glass styles. At Windows Hawaii we are prepared to provide you with all of the additional information, details, and prices to help you choose the right Simpson door or your home. 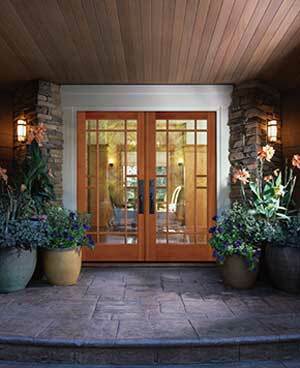 Choosing the exterior entry door for your home is an important and exciting selection. Simpson doors come in all shapes and sizes up to 10 feet tall, 6 feet wide and 2-1/4 inches thick. No matter what wood species you select, each piece of wood is carefully examined to ensure it will live up to the Simpson reputation. Simpson Custom Doors meet strict grading standards before being accepted. For instance, Simpson uses only color matched Cherry that is all heart with no sap. Maple is another good example, Simpson only uses hard rock maple that is uniform in color. See more choices and options when planning new doors for your next home improvement project.